This rusted, graffiti-marked billboard with sagging ad copy brings CBS Outdoor a step closer to being crowned “Eyesore Purveyor of the Year.” The billboard, on Sunset Blvd. in the Silverlake area of Los Angeles, is approximately 350 ft. from a church on adjacent Griffith Park Blvd. What is the relevance of that fact? 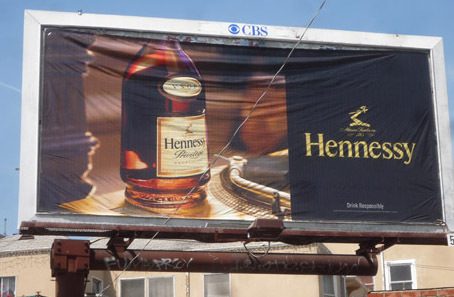 CBS Outdoor is a member of the Outdoor Advertising Association of America, which has a voluntary code of practices prohibiting billboards advertising alcohol or tobacco within 500 ft. of schools, playgrounds, or established places of worship.